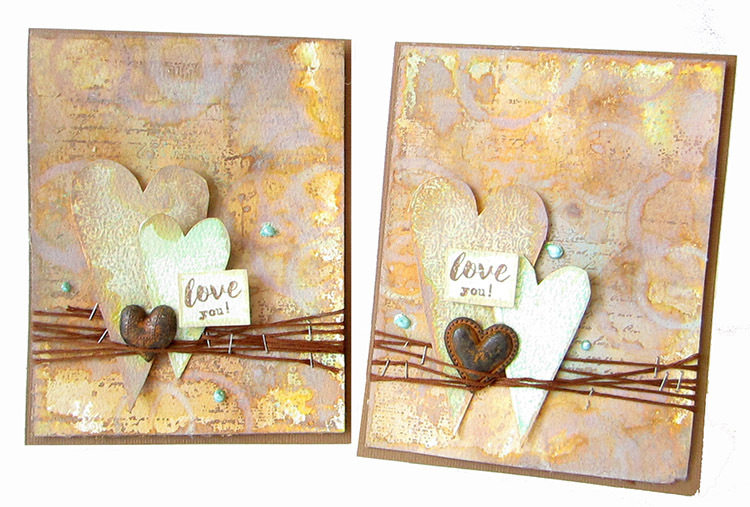 I really had even more fun playing with the new Tim Holtz Distress Oxide Inks. I’m just in love with these inks and truthfully I wasn’t sure I’d be so crazy about them as I never used the regular distress inks as much. I think it has to do with the oxidized effect which is one of my favourites to create in my art. Today I created two cards. I originally wanted to just created stained backgrounds and experiment with the techniques but then I loved it so much that I had to finish it up and create some cards. Here are the cards and below is the video tutorial with all the staining techniques. disclaimer on my blog’s side panel. Amazing cards with wonderful backgrounds. Love all the details too. Thank you, lovely technique you have with the colours. Beautiful cards. Thank you for the great video tutorial.